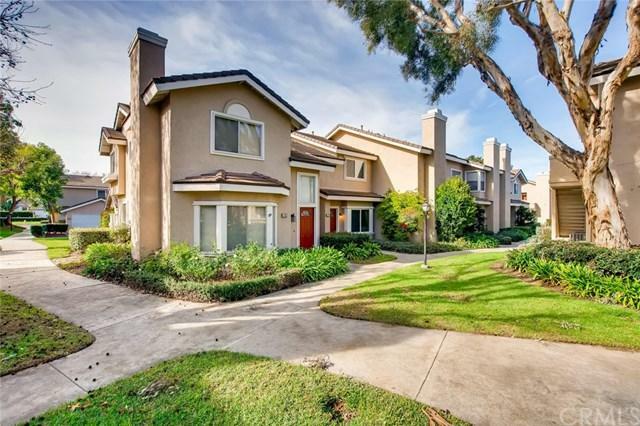 This fully furnished condo is ideally located in the desirable community of Woodbridge. The two-level open floor plan is meticulously maintained and features greenbelt views, vaulted cathedral ceilings, gorgeous stone glass fireplace, rich laminate wood floors & neutral paint colors throughout. Enter into the light and bright formal living room with peaceful views and a spacious sitting area. 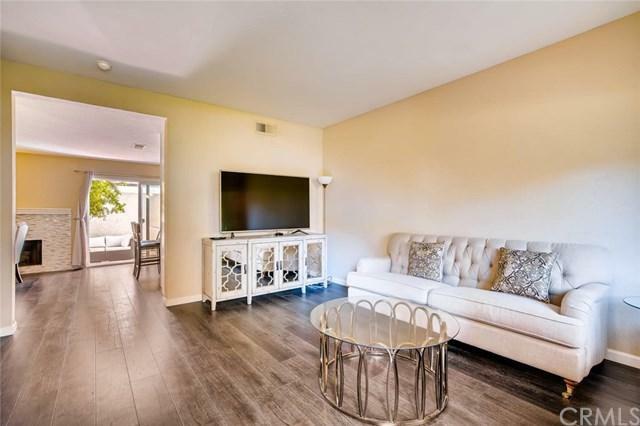 The remodeled kitchen is well-appointed with stainless steel appliances, new pendant light fixtures, modern stone This fully furnished condo is ideally located in the desirable community of Woodbridge. The two-level open floor plan is meticulously maintained and features greenbelt views, vaulted cathedral ceilings, gorgeous stone glass fireplace, rich laminate wood floors & neutral paint colors throughout. Enter into the light and bright formal living room with peaceful views and a spacious sitting area. 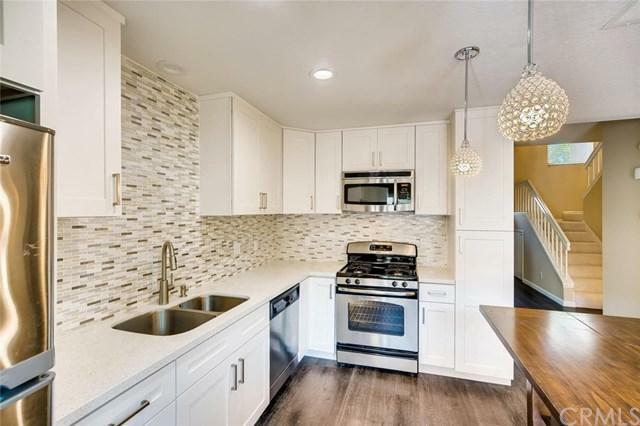 The remodeled kitchen is well-appointed with stainless steel appliances, new pendant light fixtures, modern stone glass mosaic backsplash and an abundant amount of cabinets & counter space. The kitchen opens up to the charming family room featuring a contemporary fireplace & sliding glass doors to a private patio, perfect for relaxing or entertaining. The master suite features impressive views, vaulted ceilings, spacious closet with mirrored doors, and an en-suite bathroom with granite countertops, tub & upgraded lighting. Down the hall, the secondary bedroom features an en-suite bathroom with granite counter tops & tranquil tub with shower. There's indoor laundry area with full-size washer, dryer & linen cupboards for storage. Unit includes a detached two-car garage. 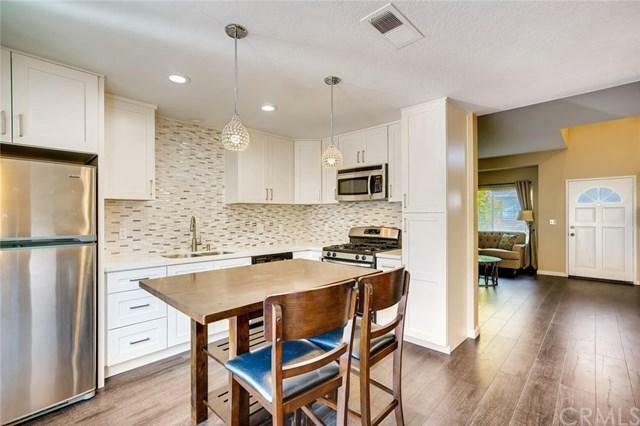 Centrally located within walking distance of Southlake Beach Club, Alton Square Shopping Center, South Lake Lagoon, numerous parks and sports fields. Award-winning Schools, Pools, Spas, Tennis Courts, Sports Courts, Clubhouse, Playgrounds, BBQ & Picnic Area.